P-MediCyp Ltd are proud to present the outstanding Israeli Oxygen Concentrator, OXY-TEC 5S, the new version oxygen concentrator that will provide a dependable, convenient source of supplemental oxygen for a wide variety of therapeutic needs. Oxygen therapy at home at the easiest , convenient, safe and cost effective way there is today ! We at P-MediCyp Ltd, as the exclusive distributors for the Israeli Oxygen Concentrator, in Cyprus, offers home oxygen users some great advantages that will surely contribute to their health and their quality of life. 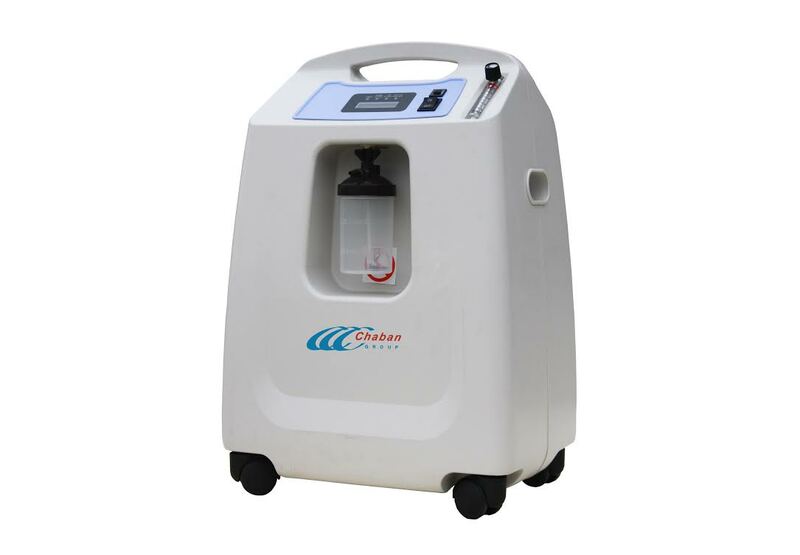 Our reliable Oxygen Concentrator OXY-TEC5S can be conveniently used in home care setting, hospitals, clinics and assisted living centers/nursing homes. Our new Oxygen Concebtartor enjoys a unique design and is awarded with the certificate of Design Patent. P-MediCyp Ltd Oxygen Concentrator is so comfortable to use, is lightweight and quiet and very very reliable, is able to provide up to 96% of oxygen purity. But maybe more important- is very much user friendly and is able to operate 24 hours continuously ! Tired of your cumbersome oxygen tank that needs to be refilled each time? Want to eliminate the need to drag around bulky, unmanageable oxygen cylinders or to wait hours and days for their refill? why not purchase an oxygen generator that will serve you reliably for years and years to come? Would you like to hear some more advantages to this top notch oxygen concentrator? Easy to read electronic control panel with LCD display including audio and visual alarm system indicatior of low oxygen concentration, power off, pressure circulation fault and compressor fault. This strong and reliable oxygen concentaror has a minimal power consumption. Controlled oxygen output- from 0.1 to 5.0 Liter Per Minute. Contains a strong, durable ABS shell with convenient access for filter cleaning. Great and affordable for use in homecare, hospitals, clinics, medical centers, rehabilitation centers, nursing homes , veterinary clinics and more. The best return on investment ratio and the best cost-effecive oxygen concentrator in Cyprus and Europe today. We at P-MediCyp Ltd are experts in home oxygen therapy and oxygen therapy at home, after 20 years of experience and expertise- we are sure that we will be able to help you too and to contribute to your better health and quality of life. When buying the Oxy-Tec 5s Oxygen Concentartor from P-MediCyp Ltd, an instruction guide that will acquaint you with the Oxy-Tec 5s Oxygen Concentrator will be provided to you, as well as a professional home guidance, all over Cyprus. P-MediCyp also offer the cost-effective Oxygen Concentrator, the OxyFlow 5 Oxygen Concentrator with the high purity of continuous oxygen delivery, the best solution for those who needs an oxygen therapy at home in Cyprus, no refills needed ! Recommended Portable Oxygen Concentrator that score very high at the comparison charts, with the intelligent delivery of oxygen, with the available setting of 1 to 5 LPM , that weigh only 6 lbs (lightest in class) and that is approved for flight by the FAA , is Invacare XPO2, read more here.